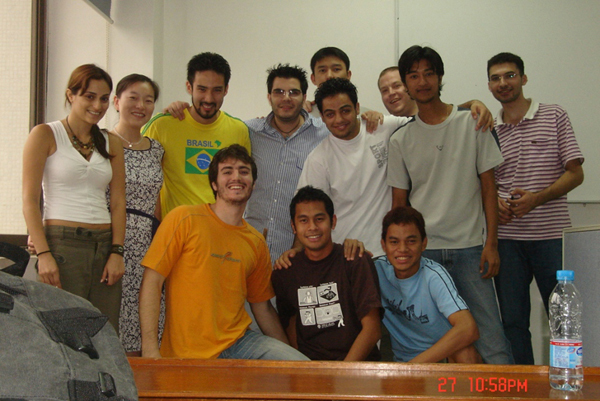 I decided to go abroad to teach English after a life-changing event in 2003. The stress of working 70-hour workweeks as a computer engineer for years had left me obese and extremely unhealthy. I had a minor heart attack at the age of 33 and my doctor informed me that if I did not dramatically change my life I would not live to see 40. I started a week-long course to get my TESOL certificate three days later and had a contract lined up the following week. 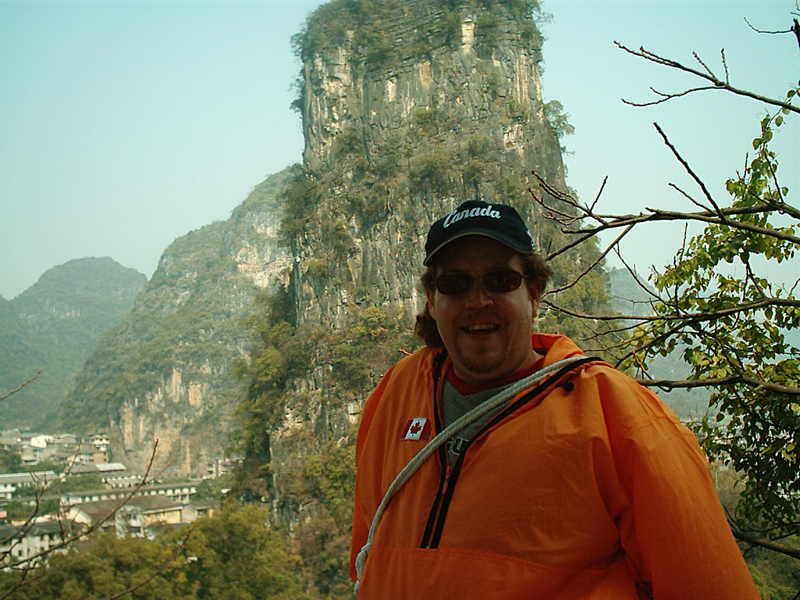 Within a month, I was on a plane to Yangshuo, China – one of the most amazing places on the planet. I did not go with any program or anyone at all. I simply did research online, found a recruiter, talked to them and some of their teachers and off I went. Envy and jealousy of all the people I had met who I considered “lucky” to have been able to travel and see the world. I always dreamed of traveling but just never felt it was possible or within my means. It wasn’t until a friend of mine tried teaching in Japan for a year that I really started thinking it was possible. I was unhappy, unhealthy and needed a change in a big way, and I once again came across one of those “Teach English Overseas!” ads in the back of a local newspaper. I took the course that week. 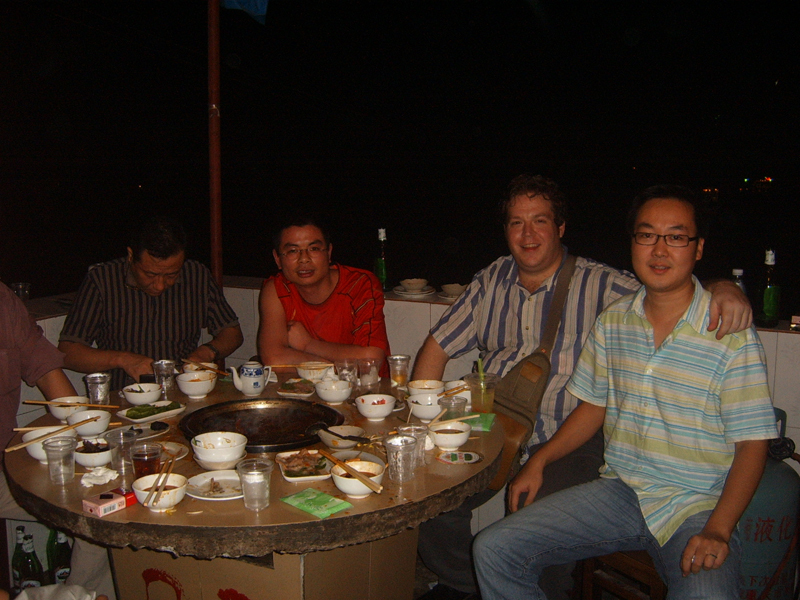 That was 10 years ago, and I am still in China and teaching now! My options were somewhat limited then. I did not have a degree at that time, so that seriously limited my options as far as countries and money went. Luckily though, in China it was very possible to work without a degree. I began searching online and through ESL Web sites first, following the forums and discussions rather than the adverts from employers and recruiters. I chose my first company based on the fact it had excellent reviews from current teachers (and the company allowed me to contact them directly). They paid for all the necessities of life in China (apartment, utilities, cable, telephone, internet, meals, etc.) for me and offered one to two weeks of free training and acclimatization to China at their main office in the amazing village of Yangshuo. Anyone willing to do a Google search for pictures of Yangshuo will see why it was such an easy choice! Truly amazing! Well, with my first company it was literally too easy. They provide foreign teachers to smaller cities and communities around China that would normally never even be visited by a foreign traveler, let alone a teacher. As such, they have tons of work available and even give teachers many choices of locations and schools to choose from. They simply sent me an invitation letter and contract to sign the day after I applied. I got the necessary vaccinations and bought a plane ticket and that was pretty much it. Every single other person I have referred to them has been almost automatically given a contract and has had excellent success. I was very lucky to have found such an excellent company so early on. One thing all prospective teachers need to keep in mind is that the cost of living here is very different than back home. My first job paid $500 a month, enough to keep many possible teachers from even applying. However, what they don’t know is that $500 a month in a smaller city in China is HUGE money! You can literally live like a king, better than local doctors and lawyers! Luckily, as I was debt-free I didn’t worry about the money so much, and that made the process all the more simple and enjoyable. It’s only after you arrive in China and have some real world experience that the real opportunities come. (These days I charge $75/hr for tutoring and $50 for teaching in a classroom). The biggest surprise by far was how culturally accepted and respected foreign teachers and teachers in general are in China. From day one I was always treated like a professional and a friend by everyone. They all seemed so thankful to have me here helping them become part of the global village. It never ceases to amaze me how many gifts I get as a teacher here: iPhones (yes, iPhones! ), $1,000 ukuleles, fruit, specialty foods and more dinners than you can imagine. I can’t imagine teachers are treated so well back home! Tons! China is an eating culture, so whereas back home my friends were mostly interested in going somewhere to drink either booze or coffee, in China we go for dinner. In fact, instead of greeting someone with “Hi, How are you?” the common, polite greeting is “Hi, have you had your dinner yet?” One of the biggest social activities here is KTV (karaoke), which I have of course done a lot of. But it is quite different here. Back home karaoke is typically in a bar, with hundreds of other people (and at least one old drunk guy who HAS to sing “My Way” very poorly!). In China, KTV is in a private room with just you and your friends. I have been in rooms for four people all the way up to huge KTV auditoriums with 500! You can buy alcohol, food, snacks or just sing. You are even welcome to bring your own food from outside. Most KTV party rooms even come with their own private bathrooms and serving staff. Basically KTV is your own private party every time and WAY cheaper than going to a bar or disco. Without a doubt I consider my 10 years teaching in China successful. I have a family here, a brand new car (which I was able to buy with cash), a very relaxed lifestyle and more financial freedom than ever before in my life. I chalk this all up to having a positive and accepting attitude. Sadly, from 90% of the foreigners I have met here and other places, there is a huge amount of negativity, as travelers often compare their own cultures to the ones they are in. However, I chose to go out of my way to not become negative. I accepted the different cultural aspects I did not like and simply avoided them or grinned and bore it. I did not dwell on the negative, and instead I found something positive I loved every day instead. I also learned some of the local lingo. Mandarin Chinese is NOT easy to learn, but once you can start understanding and communicating more, the experience gets so much better! But it’s important to put an effort in. All in all, trying to smile every day and not dwell on the differences has been the biggest factor in my personal success and happiness abroad. I took a long shot! I came to China with a return air ticket, $500 in hand and maybe $1,000 in the bank. My life savings, as it were. However, I spent my last couple of months in Canada living like a miser to become 100% debt free BEFORE leaving the country! This is something I had to really struggle to do, selling literally all my possessions and spending my last month in Canada sleeping on a mat on the floor and living out of a suitcase. But when I left Canada without having to worry about “sending money home,” I was one of the very few who travel abroad who do not have that stress, and as such, budgeting has never really been an issue. The cost of living here is so cheap that I have never had difficulties paying all the bills on time and having enough left over for actual savings as well. I have found that staying on budget is 100% up to the individual. It would be very easy to fall into the “disco lifestyle” here, which is just as expensive here as it is back home, if not more. Tsingtao beer, for example, costs 25 cents in the corner store, but up to $10US at a nightclub. A meal in a local “mom and pop” restaurant will cost you a dollar or two, while a burger or steak in a Western restaurant would run you $20 or $30. The more a teacher assimilates into the local culture, the easier the budgeting becomes! It is vital to keep an open mind and not to spend too much time comparing the negative aspects of where you are to the things you miss back home. This simply leads to negativity, homesickness and a bad experience. By embracing the culture, good and bad, focusing on the positive and studying some of the local language you won’t miss the amazing aspects of the culture you are visiting. By getting out and meeting people, exploring and becoming part of the culture you are far more likely to enjoy it. I recommend everyone try a “hand-holder” job at first like I did. Having a good company take care of the rent, bills and administrative aspects of teaching abroad is so much easier at first. Having to deal with banks, landlords, utility companies, etc. can be next to impossible without speaking the language. Also if at all possible, try your hardest to become debt-free before going abroad. Once again, the hassle it saves dealing with banks (and possibly government), trying to coordinate bill payments back home and sometimes even just getting the money out of the country can be an amazingly tough challenge. In China it is VERY difficult to transfer money out of the country and often very expensive as well! It is so much better to be able to come on your own terms and enjoy the experience as opposed to stressing about bills and worries back home. Well worth the extra time to get your finances settled first! Heading out into the global village has been the most important and amazing change and challenge in my life. What was originally a year-long sabbatical to teach and heal while traveling has turned into an amazing new life. I have found financial freedom, independence and success doing something I truly love. I have found health for the first time in 40 years, the love of my life and a new family. I have been abroad now for a decade and do not ever plan on going back to my old stressful life. Taking a chance and buying that plane ticket 10 years ago have helped me to become healthier and happier than I have ever been before. I am truly thankful that instead of envying those people who had done it before me, I became one myself! This one is easy. I am still abroad and I plan on staying abroad. 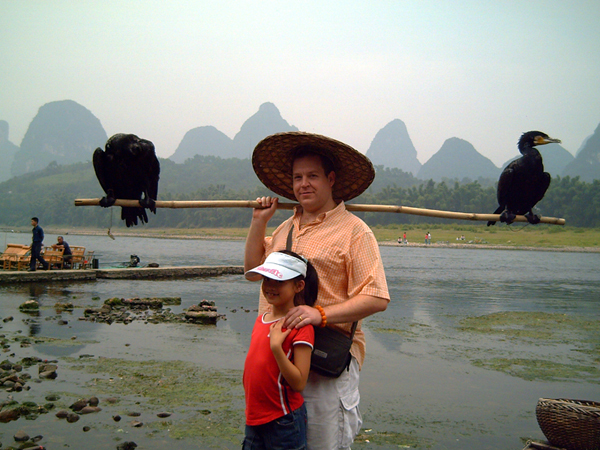 I have been in China now for 10 years and plan on staying for a while longer, perhaps even forever. I am considering moving to another country to try the experience all over again with my family this time, but we are just in the initial stages. At the moment I am at the top of my game in China. I have completed two degrees and become certified in other teaching specializations in order to move up the teaching ladder. Now I am able to make an excellent living salary as a part-time teacher and have enough spare time to follow other pursuits. I am currently thinking of going into music here professionally or trying to find acting roles. I currently make enough money tutoring for a couple hours on weekends that I am free to pursue my other hobbies and interests far more than I believe I would be able to at home. China is a country starved for foreign entertainment, and I plan to see if I can make a living at doing just that! Wish me luck! 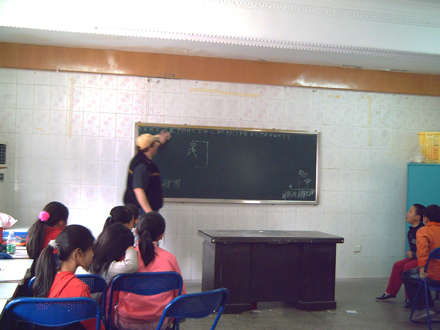 Anthony has written a moving and inspirational account of his experience building a life as an English teacher in China. Anthony is now beginning to shift his professional goals to incorporate more creative endeavors. Because of his extensive experience and reputation as a teacher, Anthony will be able to begin pursuing these goals while continuing to teach and earn a living. Many students and young professionals teach English abroad simply to broaden their understanding of the world, but Anthony’s story shows us that it’s possible to build an entirely new life in a foreign land, provided you keep a positive attitude and an open mind. The resources and articles below will assist anyone interested in teaching English abroad, or teaching abroad long-term. Read the entire Teach English Abroad section to get a sense of what an English teaching term abroad requires, and the benefits it can offer. Our article Skills for Succeeding Abroad will give you a sense of some of the most important traits for international people.